Your New Driveway Starts Today! At National Brick Paver & Stone, we specialize in the design and installation of custom brick and stone driveways to improve the look, function, and value of your home. Whether this is your new home or you have been living in it already for some time, we can help greatly increase your value with an exceptional driveway. Stand out from the rest of the neighborhood with your new brick and/or paver driveway that will set the bar high. Most pavers we use are made from concrete or clay. They can come in various shapes, sizes and colors. In our region, these materials have proven to last over time. What doesn’t last is poorly installed base material in which the pavers and stone sits. A proper base should be made in compacted layers of different stone aggregate (gravel) and pitched in the proper direction. For brick driveways, a specific depth is excavated to ensure a good compacted base. When dealing with plant life certain steps should be taken to use the right base. The wrong base can later stunt and or kill plants, trees and shrubs. The wrong base used with some natural stone can leach out and create staining. 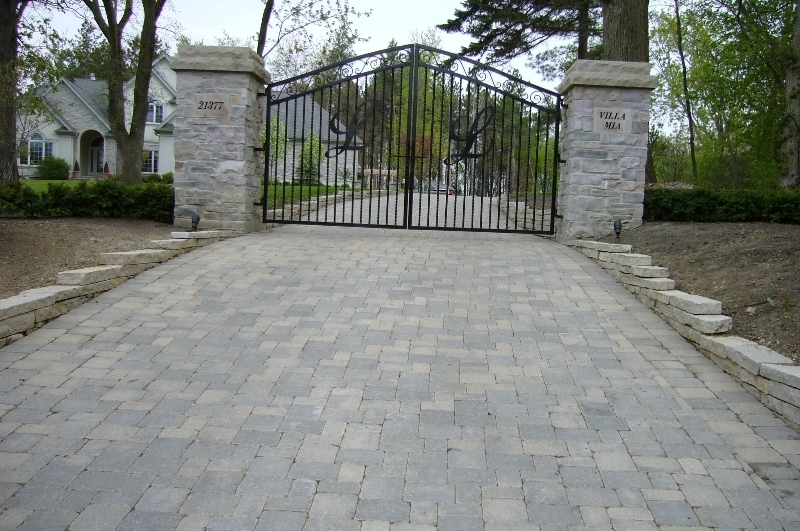 Generally driveways are laid using man made products from concrete production. Walkway and patio materials can vary from natural cut stone and slabs and pieces. The possibilities are plentiful. We service the Chicagoland, Illinois neighborhoods, improving communities one home at a time. 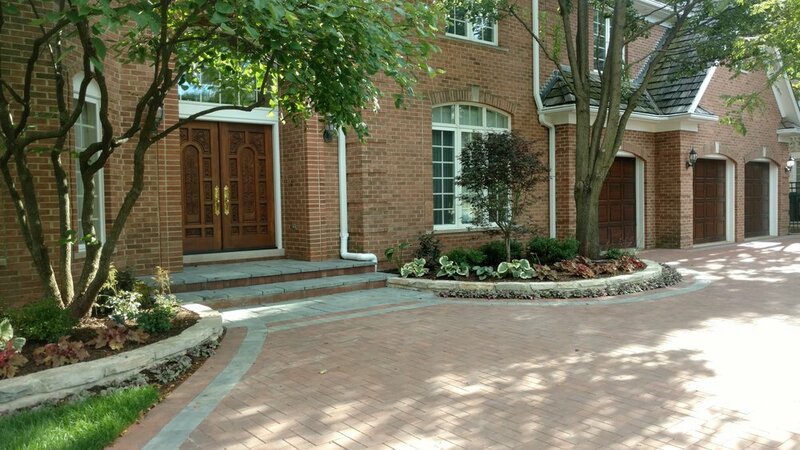 Specific areas where we’ve recently installed extraordinary new driveways and brick/paver projects include: Bannockburn Buffalo Grove, Deerfield, Fort Sheridan, Glencoe, Glenview, Highland Park, Kenilworth, Lake Bluff, Lake Forest, Wilmette, Winnetcka, Northbrook, Northfield, and Lincolnshire.